Similarly to electroproduction with respect to the photoproduction, looking at a virtual photon in the final state gives an additional degree of freedom to study the nucleon structure. The virtual photon can be detected by detecting its decay in a lepton pair. Such processes were already studied in the Hall B CLAS 6 GeV data but due to the limited beam energy it was difficult to have enough virtuality on both incoming and outgoing photon to ensure a description of the process only in term of quarks. 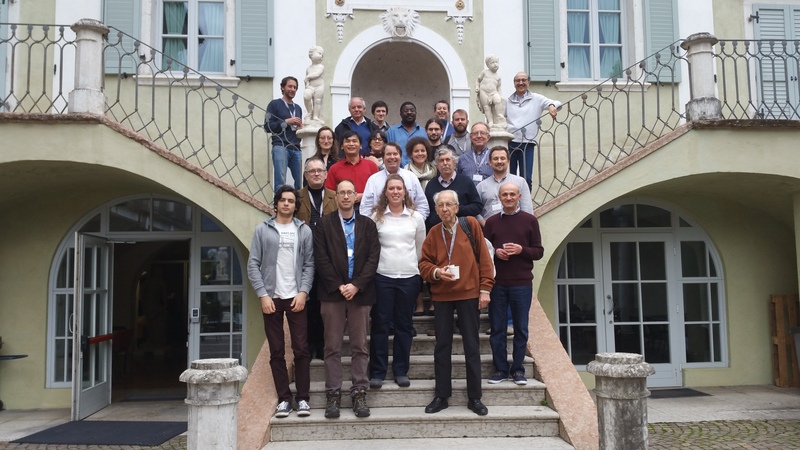 Thus the goal of this workshop is to determine what the impact of the production of dilepton can have on our knowledge of the nucleon structure in particularly in terms of Generalized Parton Distributions. Each day of the workshop will have a topic with discussion time at the end of day. presented to see how much the production of dileptons can help in the GPDs extraction and what work is needed to be able to include the dileptons processes in those fitting techniques. We hope that this workshop will be a starting point, giving first directions on what measurements and what accuracies will be needed for the measurement of dileptons processes in order to optimize the process of GPDs extraction.